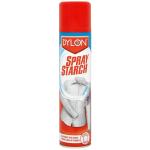 Dylon Renovator White Is An Amazing Restoring Detergent That Was Made To Bring A Shine back To Your Used Clothes - Try Today To Get That Shirt Back To Its Gleaming Self! Dylon Renovator To Whiten Laundry. Perfect Renovator For White Laundry - Renew Your White Shirts, Underwear And More! Suitable For Machine Washes As Well As Hand Washes. Made With perfume And Optical Brighteners. Rubber Gloves Should Be Worn When Hand Washing.